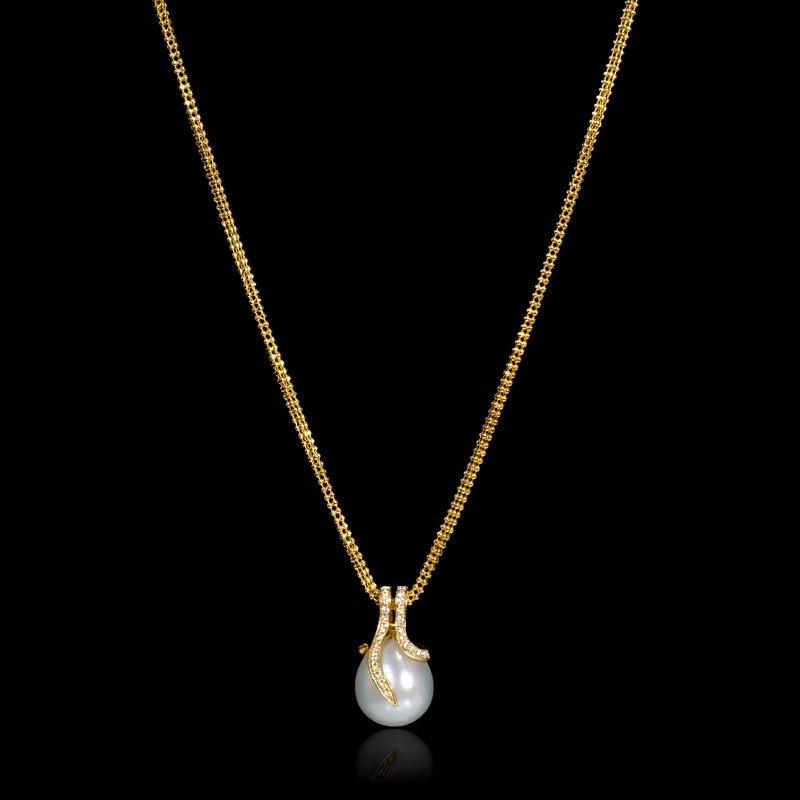 .20ct Diamond White South Sea Pearl 18k Yellow Gold Necklace. Diamond Details: Round brilliant white diamonds, weighing .20 carat total. 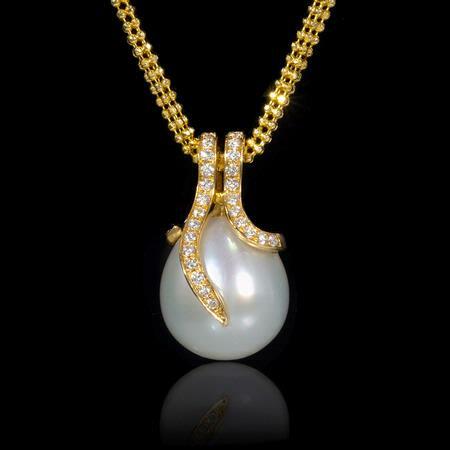 Pearl Details: 1 White South Sea pearl, full of luster, measuring 13mm in diameter. Necklace details: 18k yellow gold design. Measurements: 19 Inches in length. 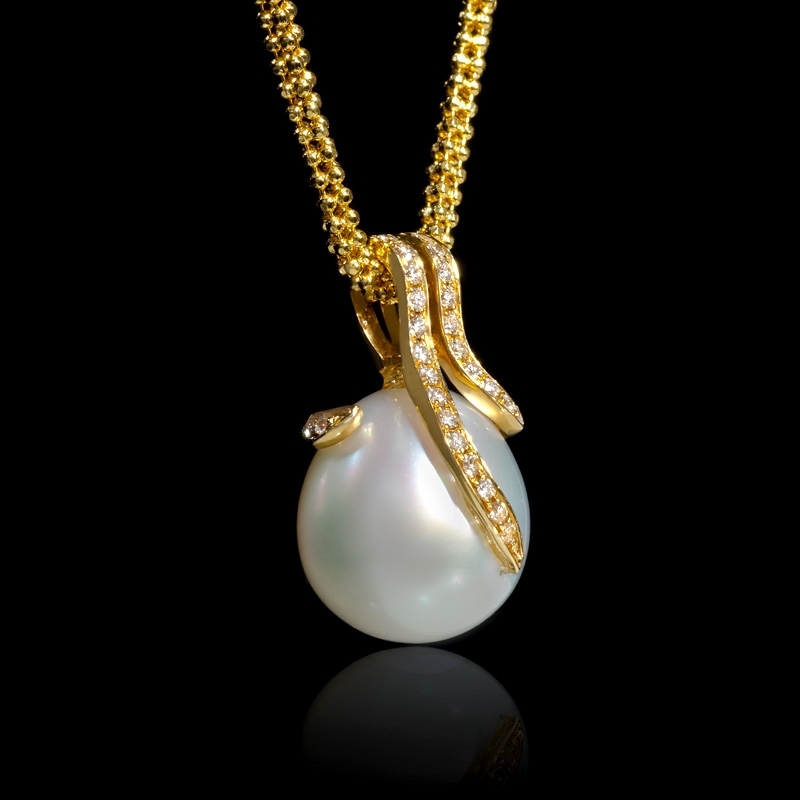 This beautiful 18k yellow gold necklace, contains 1 south sea pearl, full of luster, and round brilliant white diamonds, weighing .20 carat total. This pearl necklace measures 19 inches in length and the pearl measures 13mm in diameter.